DAWN O'Porter, novelist, columnist, broadcaster and vintage fashion buff, has never been one to follow the crowd. "As an adult I never think, 'What's everybody else doing? Let's do that'," states the 38-year-old. "I follow my own instincts in life, and that's how I've managed to carve out a career that's my own. Instinctively, I've got a rebellious attitude. I would almost actively NOT follow what everybody else was doing..."
Indeed, O'Porter – who a decade ago looked set for a career in TV, having made her mark in cutting-edge documentaries covering subjects like polygamy and extreme dieting – now lives in California and is a full-time author and mother, and married to Co Roscommon-born actor Chris O'Dowd. She moved to Hollywood nine years ago to further her career, but is currently in the UK promoting her latest novel The Cows, a feisty, funny contemporary tale following the fortunes and fates of three women who make un-stereotypical life decisions. The women all have different attitudes to motherhood: Cam, a successful blogger, doesn't want children; Stella, a PA to a photographer, desperately does despite health worries; and Tara is a single mum whose high-flying TV career takes a turn for the worse when she indulges in a private act on a train, thinking she is alone, only to be filmed by an onlooker who then posts it on the internet. As the story progresses, the women's lives intertwine, as each deals with her own problems, judging each other and themselves along the way. "None of them were supposed to have children, but when I had my little boy I thought I had to give one of them a child," O'Porter explains. "Tara is me understanding what it feels like to be a mother; Cam is my alter ego, who I always thought I would be until I met my husband; and Stella is the tragedy and sadness and part of me that is deep inside." Stella, whose mother and twin sister died of cancer and who has the BRCA gene, giving her a higher risk of having breast or ovarian cancer, has evolved in part from O'Porter's own history. Her own mother died from breast cancer aged 36, two days before O'Porter's seventh birthday. "I lost my mum to cancer, so it's always in the back of my head. I didn't have the BRCA gene and I don't face what the character is facing, but I know how it feels to worry about that. And I made a documentary about breast cancer a few years ago and interviewed lots of women in Stella's position." 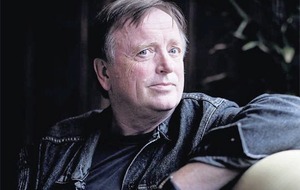 O'Porter began writing the novel when she was pregnant with their first son, Art, who's now two. She is expecting her second child this summer, but she wasn't always intent on having children, she reveals. "I wasn't that bothered. I didn't have this romantic dream about marriage and babies," she admits. "I always loved kids and loved my nieces and nephews; I just didn't know I wanted to do it myself. Then I fell in love and it just all happened. "I took to motherhood really naturally. I find it a complete pleasure being a mum," she adds. "There's a lot of messages in the book – the main one is that no matter how out of control your life feels, you can always pull it back together. You are in control of your own life." She and Bridesmaids star O'Dowd live a pretty regular family life in LA. They hardly ever go to red carpet events, aren't so famous that they're constantly hounded by paparazzi or hoards of fans, and clearly aren't fazed by fame. O'Porter had moved to Hollywood at 29 to make a series of documentaries for Channel 4, but when a second series was not commissioned, found herself floundering. "I floated around in LA a bit, not really doing much. I didn't know what to do with myself. Work dried up a bit, so it was a weird time," she confides. 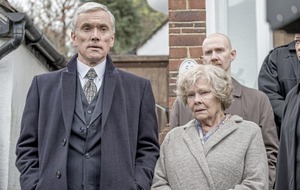 "I had a bit of a crash of confidence but it didn't last that long." It was during this time that she met O'Dowd, who'd seen her on TV and asked her out on Facebook. "I invited him to my 30th birthday party and that was where we met – and that was it. I guess it was love at first sight. I definitely fancied him and I really wanted to pursue it." She bristles when asked if his high-profile status helped get her career back on track. "I probably would have never been on a Hollywood red carpet if I wasn't with Chris, but I'd never word it that he helped my career. I like to think that if you are willing to sit down and write 100,000 words, then you are helping your own career. But I'm sure more people know who I am because of him." She has another three books to write within the next few years – and there's seemingly no shortage of inspiration. "I always knew I wanted to stand out and have a career in journalism," says O'Porter, "and to do that, you need to be willing to not follow the herd and write what you feel." 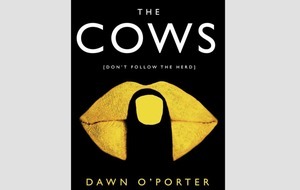 :: The Cows by Dawn O'Porter is published by HarperCollins, priced £14.99.